A craft beverage movement is taking the nation by storm and if you are in the Glens Falls Region and enjoy great beer, wine, cider and other distilled spirits, you're in luck! There are more than a dozen craft breweries, wineries, and distilleries in the area that are worth visiting, and some are even attached to restaurants. 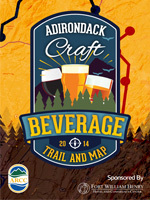 To help quench your thirst, the Adirondack Regional Chamber of Commerce developed the Adirondack Craft Beverage Trail that features 14 different stops. The trail is broken up into a North Route and a South Route so that it can be enjoyed in manageable pieces instead of all at once. You'll wind through Lake George, Corinth, Fort Ann, Glens Falls, Queensbury, Greenwich, Valley Falls, and more on your quest to enjoy all the craft beers, wines, ciders, and spirits that the region has to offer. Take a look at the maps and participating businesses below to plan your journey along the Adirondack Craft Beverage Trail today! Adirondack Winery - Lake George - features a great tasting room that showcases its selection of award-winning, hand-crafted wines. Adirondack Brewery - Lake George - enjoy award-winning craft beer, brewery tours, and a full pub menu all in one location! Springbrook Hollow Farm Distillery - Queensbury - sample hand made spirits produced using local ingredients - distillery tours available on the weekends! Lake George Distilling Co. - Fort Ann - try moonshine, bourbon, whickey, vodka, and other handcrafted spirits made from local grains. Slyboro Cider House - Granville - taste unique, "true" ciders ranging from still to sparkling - the main ingredient is apples from Hick's Orchard. Davidson Brothers Brewery - Queensbury - tour the 50-barrel brewing system and enjoy craft beer and soda samples at the tasting bar - make sure to grab some souvenirs from the retail store! 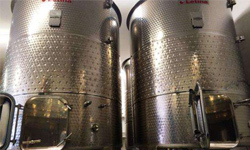 Ledge Rock Hill Winery - Corinth - this family-run winery handcrafts its wines from all-natural ingredients, including the highest quality, premium grapes. Davidson Brothers Restaurant & Brewery - Glens Falls - at this full bar and restaurant, you can sample craft ales and enjoy delicious food at the same time! Coopers Cave Ale Company - Glens Falls - if you like hand-crafted ales, homemade sodas and ice creams, and exceptional pub fare, you'll love The Cave. Common Roots Brewing - South Glens Falls - try a variety of craft beers, take a tour of the brewery, and grab some souvenirs from the retail shop! Oliva Vineyards - Fort Edward - uniquely situated on a horse farm, Oliva Vineyards features great, innovative wines and breathtaking views. Argyle Brewing Company - Greenwich - this "farm-to-glass" craft brewery uses local ingredients to create unique and delicious beers. 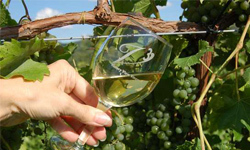 Victory View Vineyard - Schaghticoke - cold climate grapes are the star of this family-owned farm winery - the owners' knowledge of and appreciation for local history adds a special touch! Amorici Vineyard - Valley Falls - this farm winery features sustainable farming practices and all of the resulting wines are fully sourced from grapes grown in New York State. Want a prize for completing the trail? Pick up your official Trail Map at any of the participating businesses as the first step! You'll receive a stamp at each location and if you complete one of the routes, you'll receive a custom beverage glass. Better yet, if you complete both the north and south routes, you'll receive a set of four custom Adirondack Beverage Trail glasses! Simply send your stamped map to ARCC, 136 Glen Street, Glens Falls, NY 12801 to get your prize. Looking to add exercise to your Beverage Trail experience? The Warren County Bike Trail runs through a portion of the South Route! It crosses directly behind Coopers Cave Ale Company and is within reasonable distance of Davidson Brothers Restaurant & Brewery and Common Roots Brewing.